During pregnancy, there are plenty of foods that women must limit or remove from their diets. Fortunately for women who love berries, blueberries are not just safe, but they are also full of nutrients required in the pregnancy diet. Choose fresh and organic blueberries and never forget to wash them thoroughly before eating. 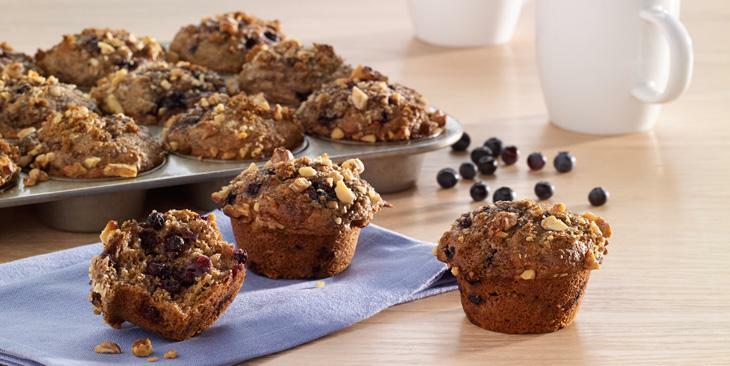 These blueberry muffins are an energy booster, packed with prenatal vitamins! Blueberries are a healthy pregnancy superfood, packed with Vitamin C, folate, calcium and other nutrients for pregnant women – they also contain potassium which is essential for blood pressure control. Team them with walnuts in these delicious muffins and you’ll be boosting your Omega-3 too, which is super good for you and your baby! Mix together the flour and sugar. In a separate bowl beat together the melted butter, egg, vanilla and milk. Pour into the flour mixture and mix well. Bake for approximately 20 minutes until firm to the touch and light brown in color. 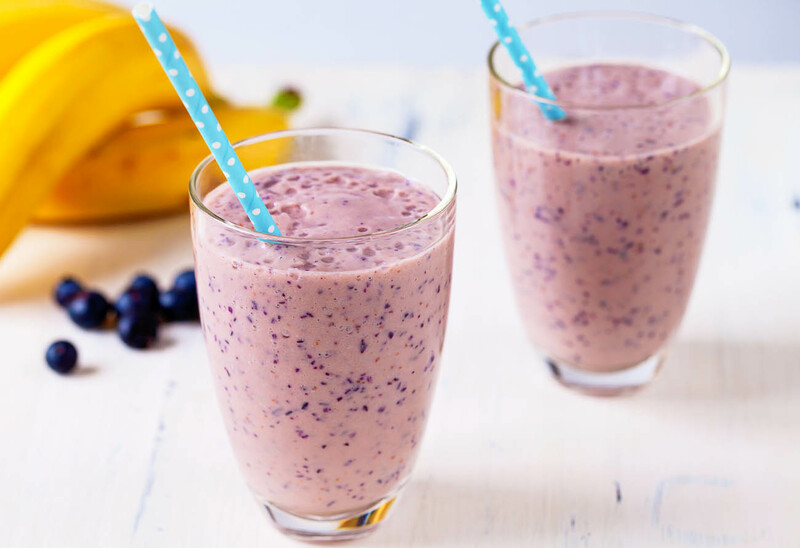 Enjoy this smoothie with a few graham crackers, or whole wheat toast topped with hazelnut spread.